These translations are entirely my own work. There is a bit of extrapolation, but well, that’s the nature of Japanese, unfortunately – at least until someone asks Kawamori himself. Feel free to quote, link etc if you wish, but please don’t claim it as your own. Please note that the block quotes represent comments made by Kawamori. Although these comments were originally ‘leaked’ and translated back in May, because of that Shaloom fiasco, I chose not to post them here until the article had been verified by myself and two other members of AS. Many, many thanks are due to the LJ acquaintance who kindly scanned it for me. The young mistress: Pray tell me, what happened to Alto?! Is Sheryl ok? What happened to the triangle between Alto, Sheryl and Ranka?! The butler: Please calm down. After you’ve had your tea, how about we resolve all of these questions? … Let’s start with the question about the triangle. Alto’s line was “I just want to tell you that I …” You weren’t able to hear the rest of that sentence, is that right? What do you think he said? The butler: Amazing, my lady. Your character and taste come out clearly in those words. Here’s what director Kawamori said. There were a few issues from the TV series that I wanted to deal with. During the first movie, there are questions as to whether Sheryl can fall for Alto, whom she’d just met, to that extent just because he saved her shortly after her arrival on Frontier. 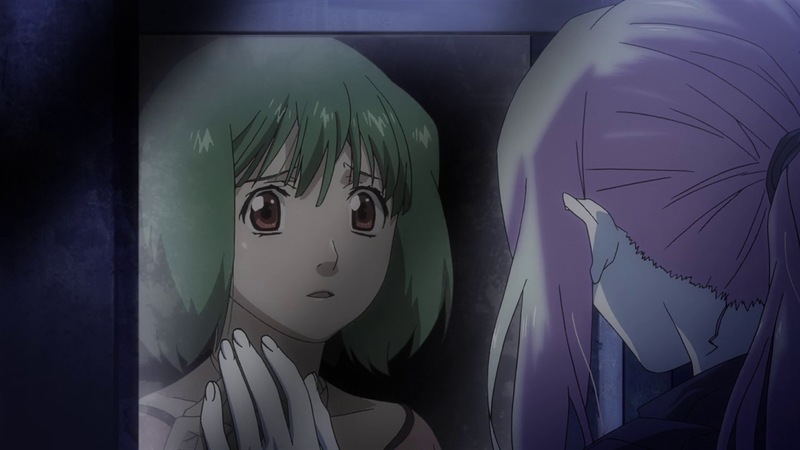 If they’d met in the past, perhaps there’s a bigger impression left in both their hearts (than what Ranka might think). As for Alto, rather than making it black and white, he’s just putting his feelings at that point directly into words. The butler: My lady, that time at the cinema, I remember that you were unable to stop crying. As a result, you were not able to watch the film through to the end. Actually, he folded out. He just moved somewhere else by means of ‘space-time transfer’*. The number of people who were shocked by Alto’s disappearance was greater than I thought. I’m sorry. If you watch to the end carefully I think you’d figure it out, but he actually folded. The young lady: R-Really? Then, Alto is alive somewhere, right? Please tell me, where is he? 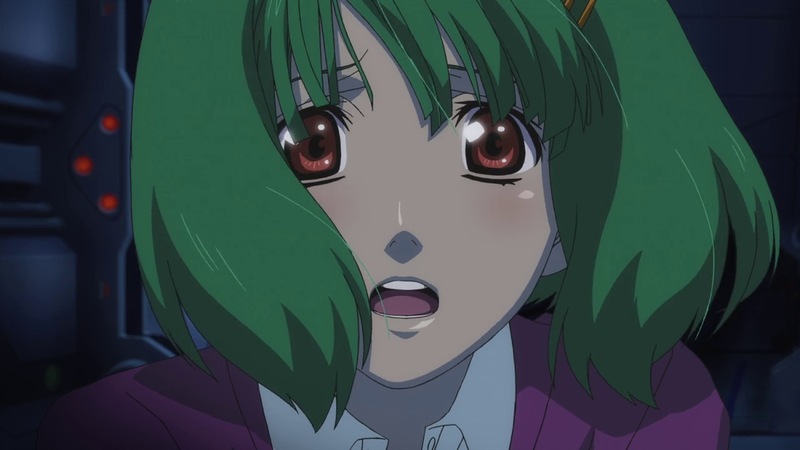 The young lady: Also, I feel really sad for Ranka, whose feelings Alto was unable to return. The butler: My lady, you need not worry about her. In this finale, Ranka has become much stronger. 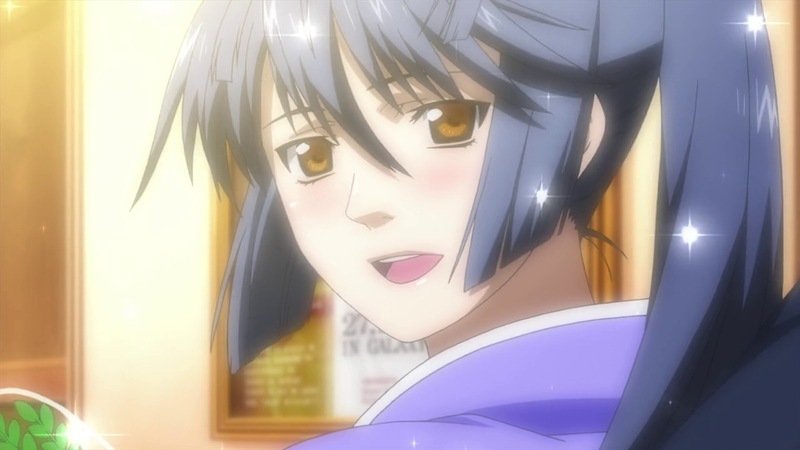 Do you not agree that we saw a more mature Ranka, someone who was able to worry for Alto and Sheryl until the very end? Ranka was able to tell Alto of her feelings, in words. That’s why she’s fine. She was able to settle her feelings. You could also think that, to Ranka, Sheryl was someone who could completely understand her feelings about love and singing, i.e. she became someone really important to her. And Sheryl probably feels the same way about Ranka. They are connected by a bond that surpasses the bond between rivals. The young lady: But Sheryl has not woken up, right? I also feel really sad for her! The butler: My lady…you really missed the hint at the very end, didn’t you?! I saw it very clearly, but perhaps my lady and others like yourself, who only saw it once, were unable to continue your train of thought after the ending, which you just did not expect? I’ve actually been hearing of similar experiences (wry smile). After seeing Alto disappear, because of the shock from that, they didn’t see it even though they did actually see it. After seeing the film a second or third time, they realised. There’s also a hint in the characters that appear in the credits, so I think you can imagine what happened to them afterwards. The butler: You see, my lady, you need not worry. Your mind just went blank for a moment, that’s all. The young lady: R-Really? Then Alto and Sheryl will be able to meet again someday…!? Did you spot the Easter Eggs? The butler: My lady, did you know that, in this finale, there are many little Easter Eggs hidden away for you to enjoy? The butler: Yes, Michel certainly was cool…but about that. That costume is a reference to the old hand who gave us “Listen to my song!”, from the favourite act of Ranka’s older brother Ozma, Macross 7’s legendary band Fire Bomber! Furthermore, during the climatic battle, when the N.U.N.S. appeared all at once to back the Quarter up, we also heard a voice we’ve all heard before, didn’t we? The young lady: Wha—really?! I heard the voice of an older man…who was it? The young lady: I’m not one of those girls who has a thing for older men. I love beautiful things! The butler: In that case, did you notice the appearance of “Iron Arm Atom” near the start of the film? The young lady: Ah, yes, I know him. He’s the robot known as Astro Boy, right? The butler: This time, it was a proposal from Tezuka Production, which allowed them to realise a collaboration with a Tezuka anime. If you watch it again very carefully, you find more references to the works of the master, Tezuka Osamu, hidden in the film. The young lady: You know, you said that you’ll help me solve all the mysteries, so why are you increasing them instead?! The butler: No no, my lady. All it is, is that you do not have enough sugar for your brain. Once you have partaken your tea, let’s return to the cinema to witness the gallant figures of Alto and the two divas once again! 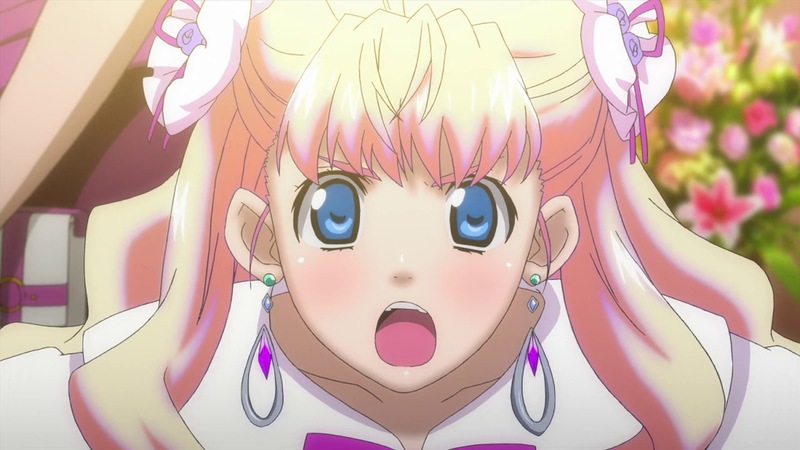 With this film, the main story of “Macross Frontier” is complete. 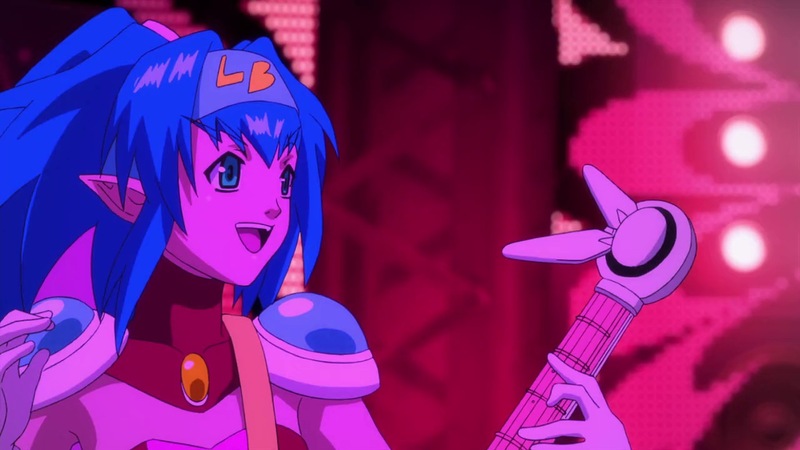 If we’re talking about something like a spin-off of Ranka’s “Magical Girl Live” then I’d love to try doing it. 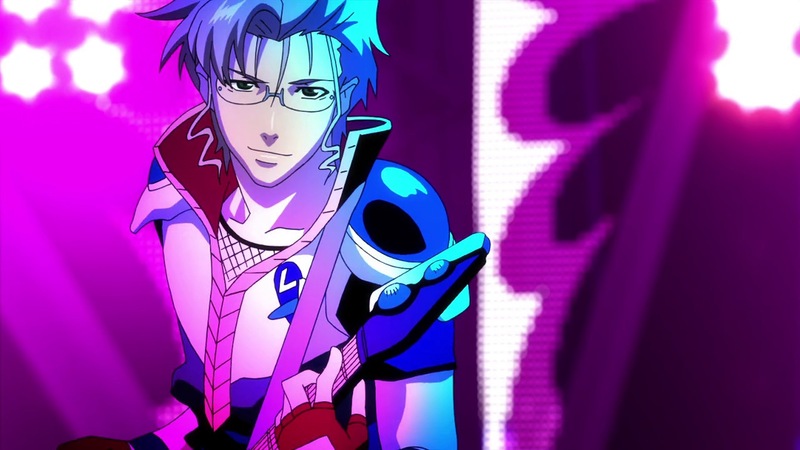 In 2012, Macross will see its 30th anniversary. I’m looking at whether it’s possible to take a different approach. That we may meet again! Magical girl Ranka? After Madoka Magica that sounds like a strangely warped idea 🙂 Kyubey IN SPACE?